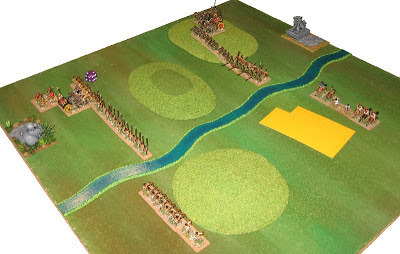 As well as great wargames show with every sort of game and all the big historical wargames traders, Triples, these days, is positively bursting with opportunities to play ancient and medieval wargames in low impact friendly competition. The Northern Cup is sponsored by the Society of Ancients and is part of the SoA UK DBA League. Tony and Paul from Lincoln organise it all and provide armies and terrain boards for a series of loosely historical scenarios. This year had a Chinese theme. Something I know nothing about. 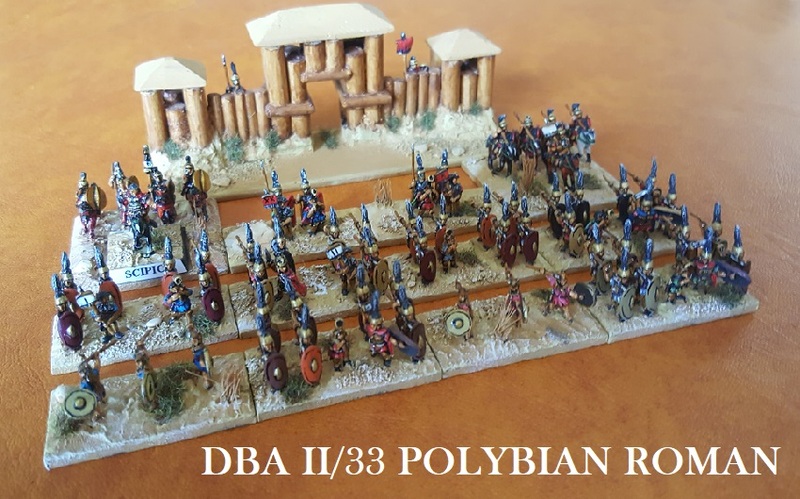 Some of the match-ups left me scratching my head, and I confess I struggled with the military challenges of unfamiliar troops fighting across terrain not usually found in the middle of my battlefields. Congratulations to Mark Johnson (1st), Sandy Carruthers (2nd), and Tom Whitehead and Graham Fordham (tied in 3rd). 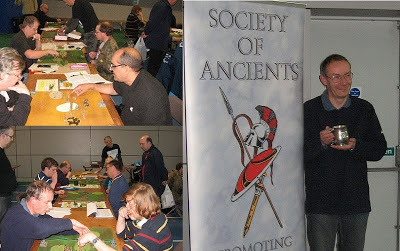 The gathered players expressed their thanks to the Society for its support, to the hosting show, and to Paul and Tony for putting it all together. Unfortunately I was unable to photograph more of the Impetus event as due to some oversight somewhere, most of the games were being played on bare tabletops. 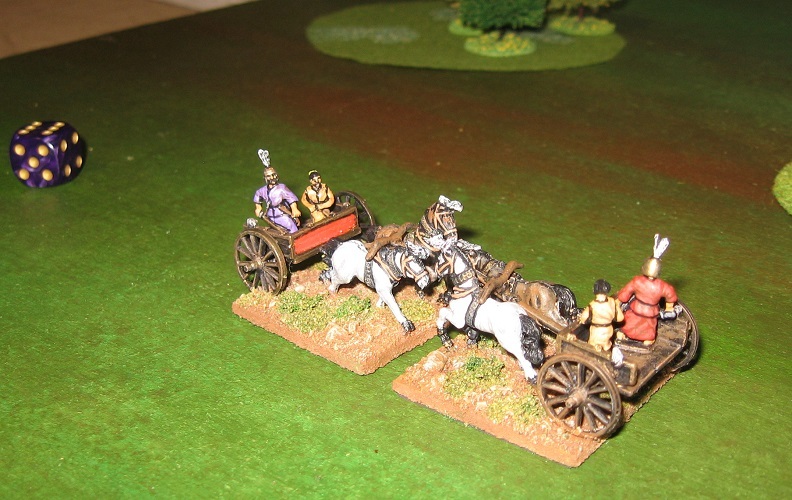 That was a pity as this is an interesting game, and some of the armies were appealingly presented. There was also a WRG 6th edition event, but they kept themselves very much to themselves for some reason. A testimony to durability, however. What a lot of choices we have these days. This is Colin and Geoff's last year running the series so I had hoped to play more often. 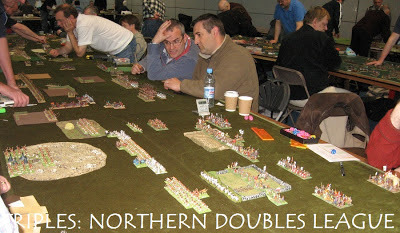 There is a round at the Royal Armouries in Leeds which would be great were it not for COW being the same weekend (but those of you not going to Knuston Hall ought to make a note in your diaries). 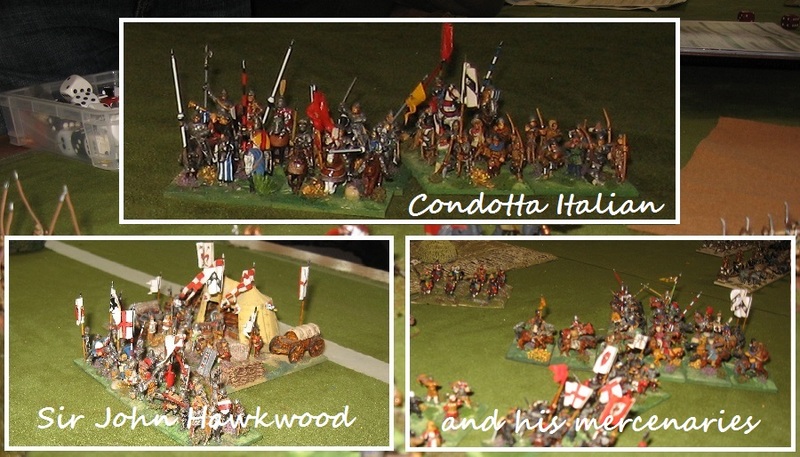 I was very pleased Chris agreed to using my Hawkwood Condotta Italian - it is a favourite army and needs to come out every year. I had hoped that it might fair better under FoG V2 with the marginal boost to rear rank shooting at impact (no minus poa now for the rear rank archers/crossbowmen) - actually, I think the army loses much more from the neutering of skirmish troops than it gains from the impact bonus ... so it remains more a decorative than a competitive army. 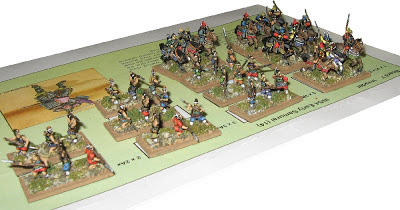 On this occasion we got no historical match ups so our knights fought gamely against Palestinian Insurgents - and some Greeks from the Middle East who predominantly fought with what, for us, would have been thought Swiss equipment. Seleucid and Jewish Revolt, to be specific. 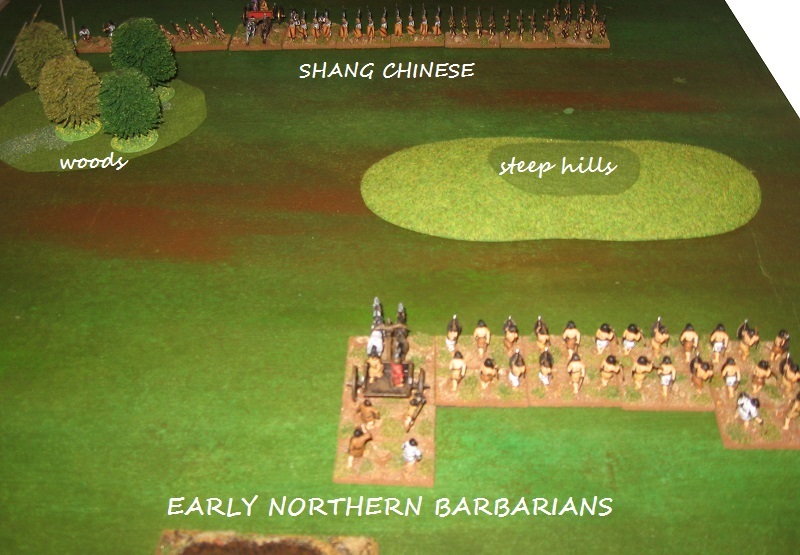 Although I don't really see the point of mismatched games like these, they were very amiable and tense, and at time I almost forgot it wasn't history! Unfortunately neither game got to a conclusion. Our first 8 Doubles games produced just 1 decisive outcome and sadly a whole day's wargaming did not add to that total. Despite rattling through as many turns as we could in a losing second game, it still did not reach a natural result within the 3.5 hours. 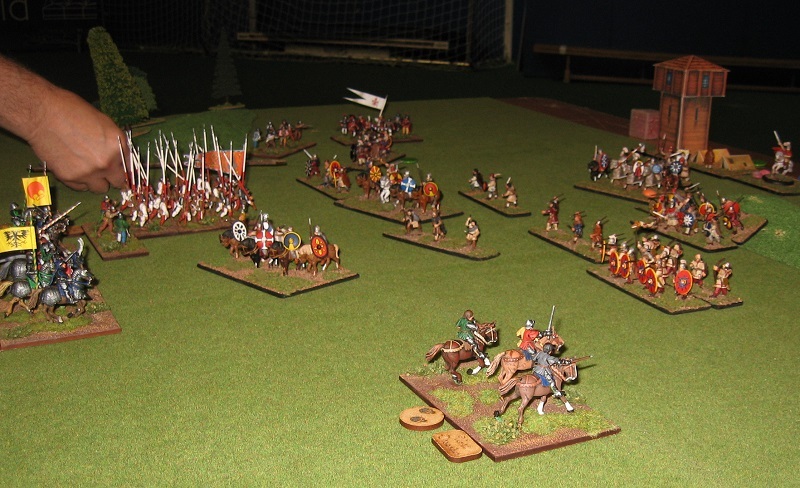 The earlier game was a 10:10 draw with only 2 units broken on each side (of the 30 or so on the table). V2 continues to disappoint in this respect and I am losing interest I think. 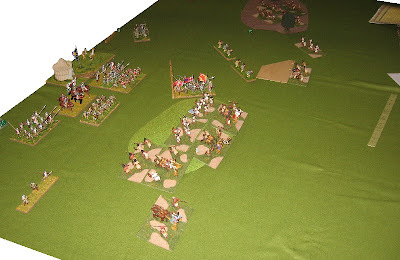 With the two full length games of FoG on Sunday, I was not able to get back into the main show and only had lunchtime with the Bosworth game. Overall, I felt I missed out a bit (as the slideshow demonstrates). Fortunately there are many good blogs with pictures of the main areas. However, I'm not sure I would do Triples this way again. After a weekend off, it is Partizan and we can devote ourselves fully to the show, the visitors and to the Bosworth project. May be it is time to try DBMM 2.0? :) Big Battle V3 DBA would be a yes ... DBMM has to be a maybe.